Dr Shezad Malik Law Firm has offices based in Fort Worth and Dallas and represents people who have suffered catastrophic and serious personal injuries including wrongful death, caused by the negligence or recklessness of others. We specialize in Personal Injury trial litigation and focus our energy and efforts on those we represent. Smith & Nephew Metal Hip Implant Injury Update. As another anniversary date of the earth’s rotation around the Sun has passed, comes timely news regarding the product liability metal hip lawsuits against Smith & Nephew. 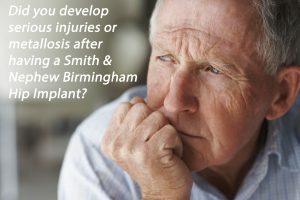 As readers of the blog will note, the lawsuits against Smith and Nephew are for the allegedly defective Birmingham Hip Resurfacing devices, which are prone to early failure, metallosis and the need for urgent replacement. Smith & Nephew hip lawsuit settlement. Over the past ten years, metal on metal (MOM) hip implants have been criticized over their increased risk of premature failure and another serious complication known as metallosis. 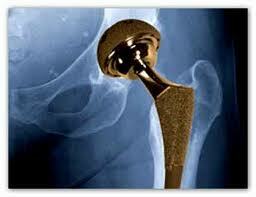 Metal hip replacement devices are expected to last 10 years or more. Now it is discovered that some newer-generation hip replacement devices have a higher failure rate because of the metal-on-metal components. California Smith and Nephew Birmingham hip failure. Gary Lunsford from Riverbank, California filed a personal injury and product liability lawsuit against Smith & Nephew. According to Lunsford, catastrophic product defect issues with the Birmingham Hip failure that were hidden from patients and doctors for years, leading to many folks getting implanted with a defective and unreasonably dangerous hip implant. Smith & Nephew Birmingham Resurfacing premature hip failure. Many metal hip manufacturers have been under fire for the past decade over the premature failure of their metal on metal hip designs. Smith & Nephew Birmingham Resurfacing premature hip failure. Smith & Nephew under fire over its BHR line of metal hip devices causing metal poisoning and pseudotumors. Smith Nephew Birmingham Hip Lawsuits heading to MDL. The plaintiffs injured by a Smith and Nephew Birmingham hip (BHR) and R3 hip premature failure have filed a petition with the Judicial Panel on Multidistrict Litigation on February 1, 2017 to consolidate all pending federal BHR and R3 cases in a single venue or courthouse. There are more than thirty Smith & Nephew Birmingham product liability lawsuits filed nationwide over its line of defective hips. The plaintiffs have requested a Maryland federal court as the court to consolidate and centralize the litigation under one judge. There has been many warnings issued to health departments world wide about potential problems with Smith & Nephew’s Birmingham metal-on-metal hip replacements. These hip model and others including the R3 model, have been linked to a high failure rate according to implant registry data in Europe and Australia. Smith & Nephew recently issued a safety notice that indicates the Birmingham hip failure rate appears to be higher than 1%, which exceeds the rate established for quality standards according to the United Kingdom’s National Institute for Health and Clinical Excellence. 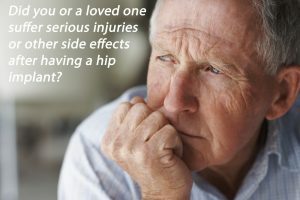 According to data collected since 2010 in the National Joint Registry of England and Wales, as well as the Australian Orthopaedic Associations National Joint Replacement Registry, the rate of Smith & Nephew Birmingham hip problems that were classified as a failure were 1.29% and 1.12%, respectively. If you are a legal copyright holder or a designated agent for such and you believe a post on this website falls outside the boundaries of "Fair Use" and legitimately infringes on yours or your clients copyright we may be contacted concerning copyright matters at the addresses above. In accordance with section 512 of the U.S. Copyright Act our contact information has been registered with the United States Copyright Office. "Safe Harbor" noticing procedures as outlined in the DMCA apply to this website concerning all 3rd party posts published herein. If notice is given of an alleged copyright violation we will act expeditiously to remove or disable access to the material(s) in question. It is our strict policy to disable access to accounts of repeat copyright violators. All 3rd party material posted on this website is copyright the respective owners/authors. DallasFortWorthInjuryLawyer.com / ShezadMalik.com makes no claim of copyright on such material.